It’s 3pm. Your head is bobbing above your desk. Your stomach is muttering curses. You’re daydreaming about supper. You’re in serious need of some healthy afternoon snacks. We’re not going to recommend carb-crushing cookies or grease-dripping processed fast food. What you need are light healthy afternoon snacks that can deal with your appetite and enhance your health. We’ve curated this list with the busy mom, the hard-working office worker, or the on-the-go dad in mind. Try these healthy afternoon snacks for the office that keep the prep to a minimum. All you have to do is welcome the glory of these amazingly healthy afternoon snacks. Healthy afternoon snacks doesn’t need to be complicated. Grab an apple, and you’re good to go. Apples provide the crunch you crave and the nutrition you need. To top it off, eating an apple is incredibly easy. Apples are a solid, juicy chunk of healthiness. Take antioxidants, for instance — those age-defying microgoodies. Apples are full of them. Plus, bound together with high soluble fiber, apples can stave off heart disease (not to mention your appetite). Apples pair well with plenty of other healthy stuff. Try coring your apple and stuffing it with peanut butter mixed with dry oats. Or slice the apple, and sprinkle with cinnamon. Either way, get ready for a mouth party. Yogurt is an off-the-charts winner when it comes to snacking. Somehow, the cool smoothness hits your appetite where it counts. Greek yogurt — the tangy, crisp variety is the perfect afternooner. Got calcium? Greek yogurt sure does. Need a healthy gut? Greek yogurt boasts a busy hive of probiotics for you. Want to trim fat? For a low-calorie, low-sugar protein powerhouse, Greek yogurt has few rivals. 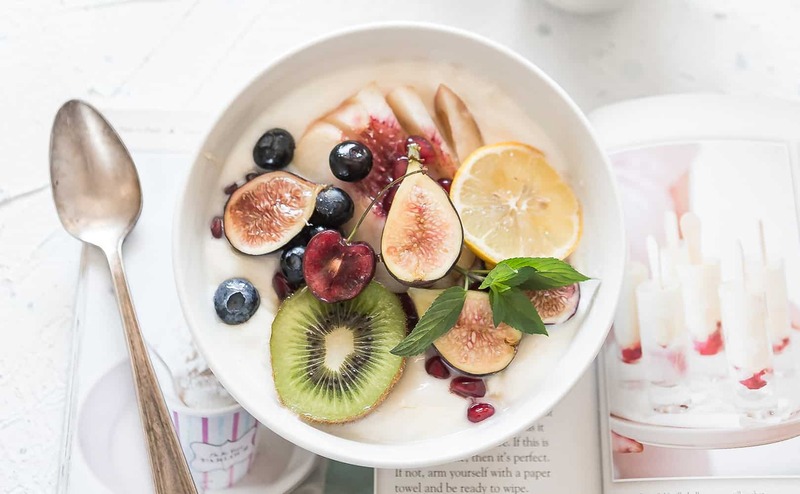 You’ll love Greek yogurt as is, but it really gets energized with a bit of culinary creativity mixed in — granola, fresh fruit, mixed nuts, you name it. Your Greek yogurt is begging to be customised. Eggs are one of nature’s simplest and most elegant foods. If you boil up a dozen at the beginning of the week, you’ll have a high-powered protein snack for every weekday. The egg is a nutrient-dense food, meaning that it’s packed with a whole lot of stuff your body needs. Eggs are an outstanding source of choline, an anti-inflammatory, disease-fighting compound, which enhances brain function. The simple, hearty two-toned flavor of the egg is as elegant as they come. If you want to jazz it up, try paprika, lemon zest, Himalayan salt, or a pepper grind. Some healthy snacks are just plain fun to eat. Sunflower seeds are the classic chew-and-spit eating experience. But, just in case you’re angling for a more professional dining demeanor, you can get them inexpensively shell-free, like these delicious organic sunflower seeds. 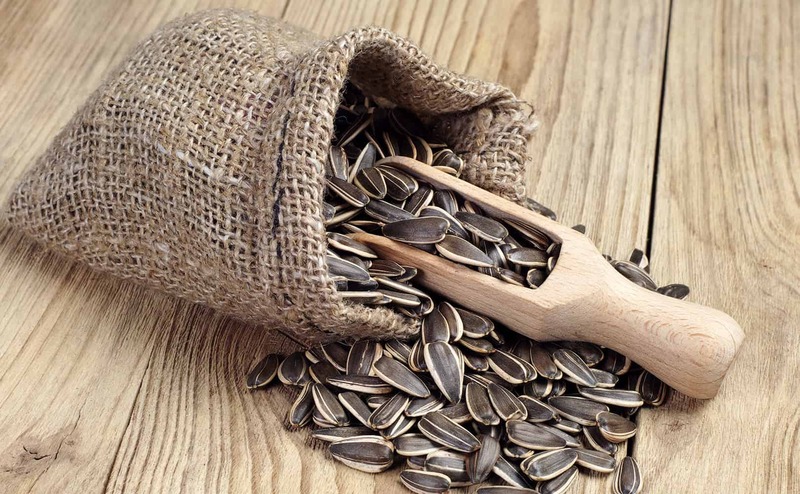 Sunflower seeds are chock full of Vitamin E. Vitamin E, you’ll be pleased to know, is linked to lower cardiovascular disease risk and cholesterol levels. Shelled? Salted? Roasted? Sweetened? Naked? You can get ‘em how you want ‘em. To keep things as healthy as possible, we recommend the natural, original sunflower seed. Avocados have a way of bidding adieu to hunger pangs. Beyond the leathery outer layer, the avocado is pure green deliciousness. Want to give your cholesterol the boot? Here, have an avocado. In one study, avocado-eaters watched their cholesterol levels fall by 17% after eating avos for a week. The best way to eat an avocado is the way that nature prepared it (minus the pit). If you’re in a guacamole kind of mood, eat up, or feel free to mash the avocado, and mix it with nuts or fruit. Stir them into your yogurt, mix them in your cereal, toss them in your salad, or just pop them in your mouth. Who doesn’t love blueberries? The blueberry is a pile of healthy afternoon treats just waiting to happen. 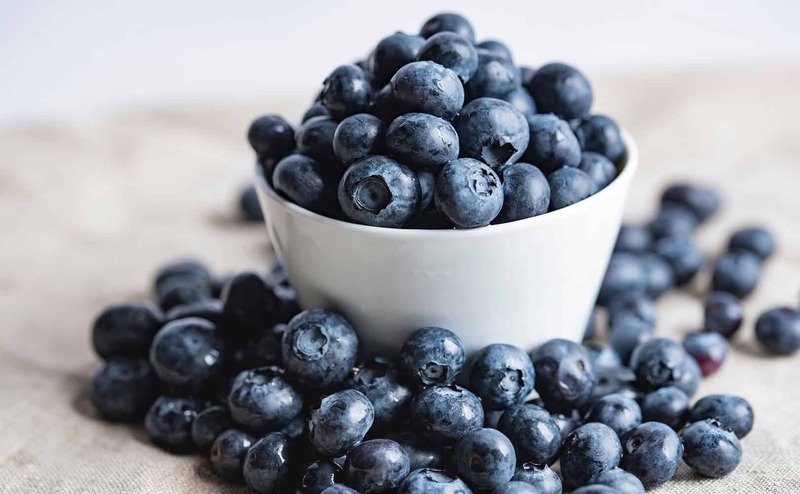 In case you didn’t know it, blueberry’s middle name is “antioxidant.” With the highest antioxidant concentration of all fresh fruit, blueberries are the king of satisfying snacking. Say hello to the whole alphabet of vitamins while you’re at it. Fresh blueberries are marvelous, but they also spoil quickly. You can get a similar health uptick by consuming the frozen variety, or even eating dried blueberries. Plus, they’ll keep a whole lot longer. There’s something mysteriously gratifying about dipping a big pretzel rod into a jar of peanut butter. You may choose a more dainty approach to the peanut-butter-pretzel love affair, but you’ll still get the health impact of this great afternoon snack. Eat this snack, and your energy levels will love you. Peanut butter not only tastes insanely good, but it also does your body some serious goodness, too. Although peanut butter is high in fat, it delivers the good fat — poly and monounsaturated. These fats actually make you less likely to develop heart disease. Peanut butter is also big on potassium, a nutrient that is essential to happy kidneys, stable metabolic rates, and optimum stress levels. Since pretzels and peanut butter both have dozens of variations, you can experiment with big and crunchy, twisted and smooth, or any creative combo you dream up. Scientists have discovered that humans crave crunch. Crunchy foods trigger the pleasure center of our brains. Maybe that’s why celery is strangely appealing. 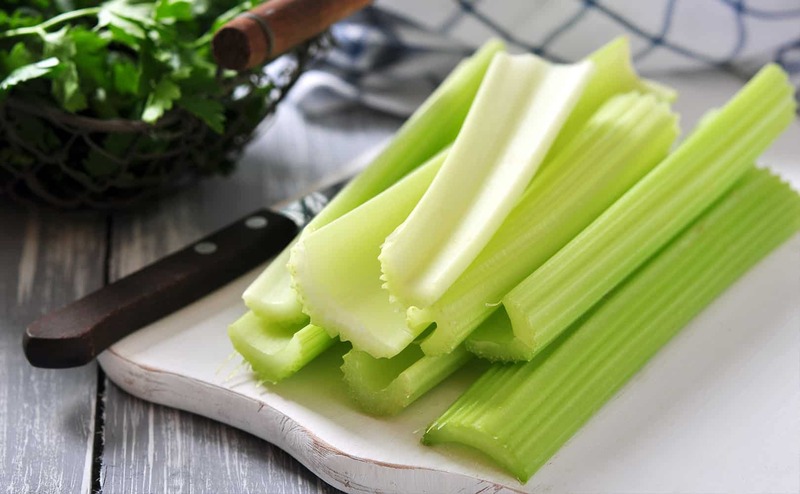 Vitamin C, anti-inflammatory, potassium, calcium, magnesium, pthalides — celery is basically a nutrient treasure chest. You can almost get healthy just by looking at them, but you better eat them to make sure. If you cherish childhood memories of celery and peanut butter, you’re not alone. Dive back into the experience, or try something more sophisticated and daring like hummus, horseradish, sour cream, tzaktziki, sriracha, mustard, or just plain old ranch dressing on top of your celery. Pumpkins make great jack-o-lanterns, pies, and candle scents. But their seeds also make for a rocking afternoon snack. Pumpkin seeds will jack up your zinc levels, power you up with some protein, and give you some solid energy for the hours until dinnertime. Hey guys, they’re also good for the prostate. The nice thing about pumpkin seeds is that you can buy them in the form that best tickles your taste buds. Plus, pumpkin seeds reportedly become tastier with age, meaning you can stash them in your locker, your desk, your car, wherever, and keep them for the long term. These are not the peas that you resisted as a wee thing. These peas are glorified. Snap peas deliver a burst of crunchy sweetness that feels as healthy as it actually is. Here’s where the peas really shine. 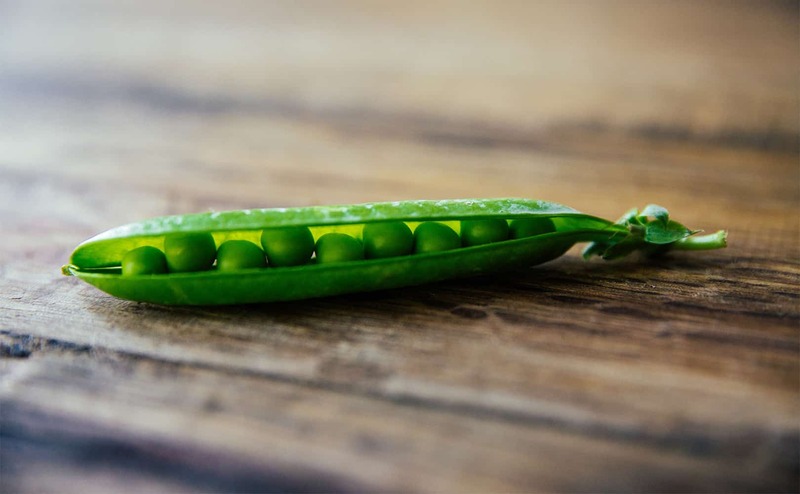 Snap peas are high in B6, a little vitamin that translates into healthier bones. The pea, sweet as it is, is basically all fiber, meaning that you’ll also get a healthier gut, too. Snap peas love company of any kind, and dipping is a preferred guest. Kale dip was created for snap peas, if you’ve got the chutzpah to make it. You may even find these veggies in the form of a baked crisp! Your afternoon doesn’t need to be a drag. 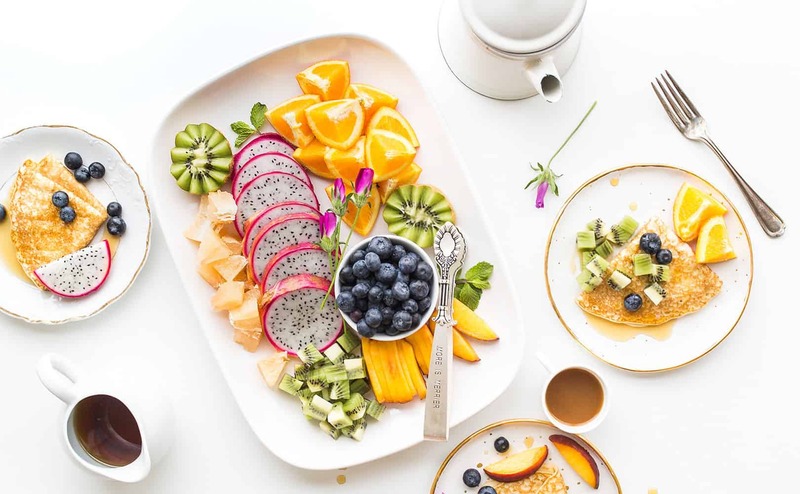 Wherever you are, whatever you’re doing, this list gives you a variety of healthy afternoon snacks that you’re going to love.